While it might seem like we’re focusing a lot on eye makeup in our makeup tutorials rest assured we’re going to be moving on to other things soon. First I want to follow up on an article I did a while back featuring the best makeup tips for blue eyes. I had a lot of positive feedback but there was one question that came up time and time again – what about other eye colors? I did blue first because I have blue eyes and there are a lot of misconceptions out there about what should and shouldn’t be used for blue eyes. I’m not ignoring the other eye colors though. Our best eye makeup for your eye color continues today with the best makeup tips for brown eyes. Make sure you come back next week when the green eyed ladies out there get their turn. Last week we talked about a few myths focusing on makeup for blue eyes but to be honest, there only myth I’ve ever come across about eye makeup on brown eyes is the myth that brown eyes have to be dressed up because they’re boring. This simply isn’t true. In the above photo, Jessica Alba’s eyes look absolutely beautiful – not the least bit boring – but she hasn’t gone with the dramatic route. Instead she’s chosen a more natural look but added a little smear of dark shadow to make her eyes pop. This is a look anyone with brown eyes can pull off. It is perfect for every day wear or even a night out. Forget the old “brown eyes are boring” myth. Women like Jessica prove it’s nothing but hooey. Of course you don’t need to take the more natural path just because you can. While I’m not a big fan of Kim Kardashian as a celebrity, I really do love what she chooses to do with her makeup. In the photo above, we see Kim rocking a very dramatic look that perfectly suits her dark brown eyes. Kim has gone for a bold, stand-out look that makes her eyes the focal point of her face. This look takes a bit of work (I’ll be posting a Kim K inspired makeup tutorial soon) but it is definitely well worth the effort. This is a great look for a night out of a special occasion when you want to look your absolute best and really make an impression. 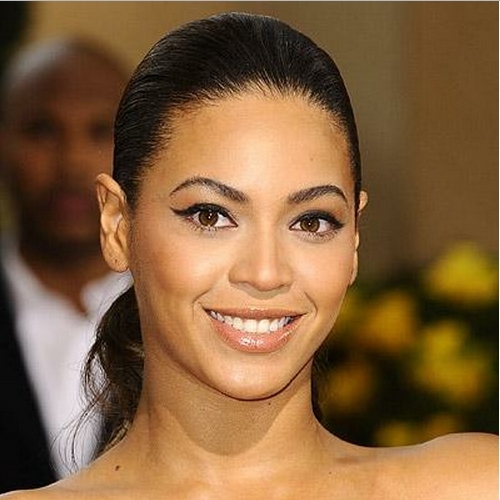 Another great look to compliment brown eyes is the look Beyoncé is sporting in the photo above – the classic cat eye look. We’re going to be doing a more detailed tutorial on how to do the cat eye look in the weeks to come but for now, let’s just cover the basics. The key to really pulling off this look is making sure you don’t go too big with it. Going too dramatic with the cat eyes look will be more distracting than complementary. Beyoncé is a great example of a woman who knows how to make her beautiful brown eyes look even more beautiful. The cat eyes look she’s wearing above is just one example. Look for a few Beyoncé inspired makeup tutorials on this site in the near future. Okay, now we’ve talked about what can work for brown eyes and what makeup for brown eyes a few different celebrities are partial to. Now it’s time to focus a little more on the specifics. Let’s start with the best eye shadow for brown eyes and move on to eyeliner from there. 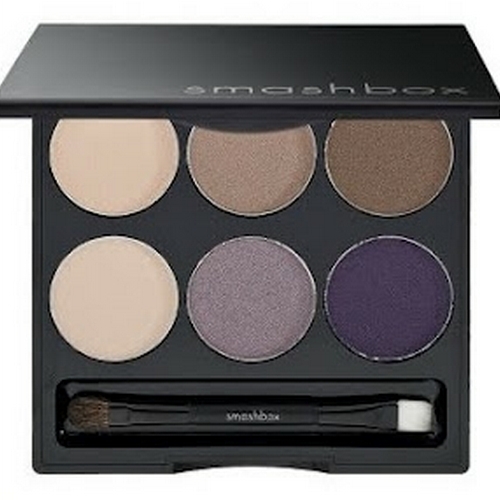 For a natural look that still draws positive attention toward your eyes, stick with neutral colors. Try out a neutral brown, peach or taupe shade and see how you feel about it. The best thing you can do for yourself and for your look is to play around with your color palette and see what appeals most to you. For a good overall look that can be played up to look dramatic, stick with tried and true colors like nutmeg, deep blue shades, deep brown shades, violet, shades of purple and gold. Again, metallic colors like metallic bronzes, metallic golds and brown or pink shades with a metallic tone are a fabulous eye shadow colors for brown eyes. There really aren’t any specific techniques that work better for brown eyes over other eye colors. 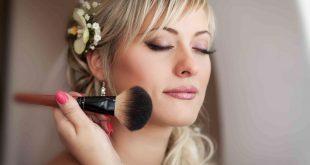 As long as you stick to the colors listed above, you should be able to find an eye shadow technique that works for you. If you’re not sure what kind of technique you should use, check out our articles on finding the right eye makeup for your eye type or our article on making eyes pop. You can definitely choose to do something a little more bold when you’re looking for a good eyeliner color for brown eyes. Again, your look is really up to you. Metallic colors work beautifully for eyeliner as well or you can choose to use a shimmer eyeliner to add a little sparkle. The type of eyeliner you use is up to you as well. 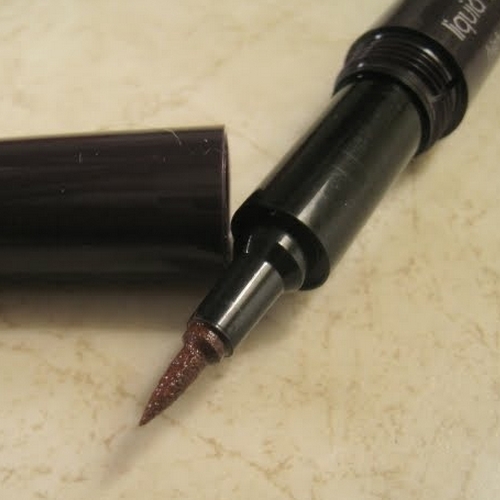 Liquid eyeliner isn’t just for blue eyes. Liquid eyeliner applied properly in the right color can really make your eyes pop. Play around with your options. What feels right? What feels right to you is always your absolute best look because nothing in the world looks better on a woman than confidence.